This is completely random, but have you seen What's Eating Gilbert Grape? I feel like it's a cult classic. A younger Johnny Depp and a much much younger Leonardo Dicaprio in their first leading roles. It always brings me to tears. Remember that scene with Gilbert and his mother towards the end of the film? "Your my knight in shimmering armor Gilbert." Gilbert corrects her and says, "It's knight in shining armor momma." She replies, "No, it's knight in shimmering armor. You shimmer and you glow." Um, totally gorgeous! Such a perfect Top! I have not seen that movie yet. But I'd love to. The gold top with the dark pants look great together. 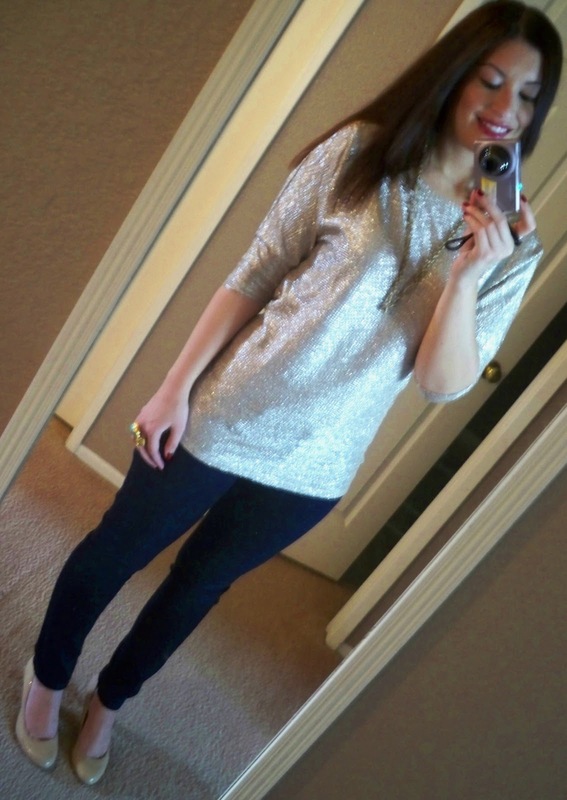 Loving your sparkly top, very cute and chic. You are beautiful! Love the top!! Very classic!! Natasha: Aww, I know it was gone so fast! I tried to link it in my last post but I couldn't find it either. There are so many gorgeous things on ASOS though! Girlie Blogger: Thank ya! I always resort to my skinny jeans when I'm unsure about what to wear. I don't think you can ever fail with jeans, heels, a pretty top. MJ @ Teaching in heels: Thanks! thats such a pretty top! you look fantastic. 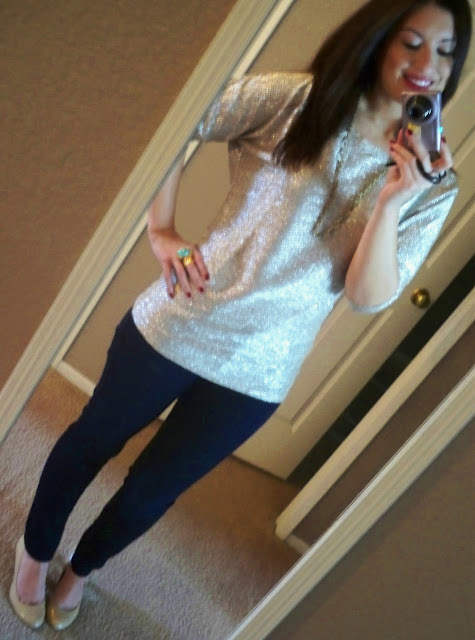 Im having a holiday party and it's my excuse to wear sparkle. I love the holidays. i'm totally loving your outfit right now. 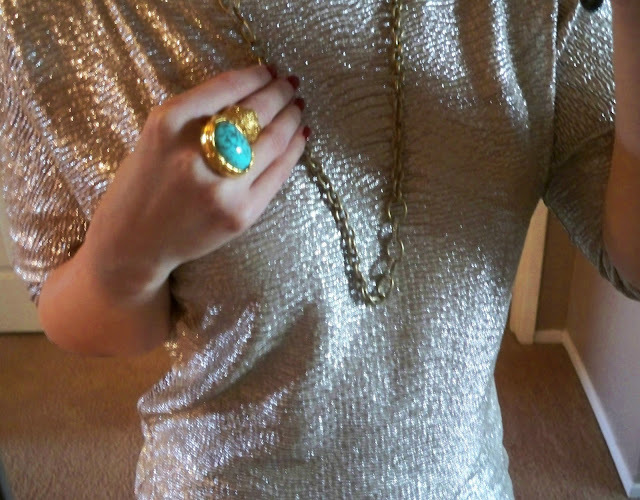 especially the shimmering top! perfect for the holidays. i've never seen that movie before but it sounds really interesting. i absolutely LOVE this top!!! omgosh totally obsessed with your top!! you look SOOOO GORGEOUS hon! omgosh what's eating gilberts grapes is one of my all time favorite movies.. and have you seen benny & joon??? LOVE!! Thank you so much girls, you all make me smile :) Have a happy weekend! Oh, and see What's Eating Gilbert Grape if you haven't! It's really good IMHO. Sob sob...that's so sweet. Love the top...perfect for winter sparkle. You.Look.GORGEOUS. I am beyond in love with this top on you. It shimmers beautifully! Love it and your turquoise Arty ring is the perfect accessory! By the way, I love this top! Haha, you're too cute, doll. I love, LOVE that sparkly top, especially paired with your jeggings!